Clockwise, left to right: Cornmeal Stars with Orange Glaze, Old Fashioned Christmas Fudge, Winter Sunshine Trail Mix. This week's blog hop from Gooseberry Patch is featuring "Gifts from the Kitchen". I thought it was so much fun, I wanted to share it with you! 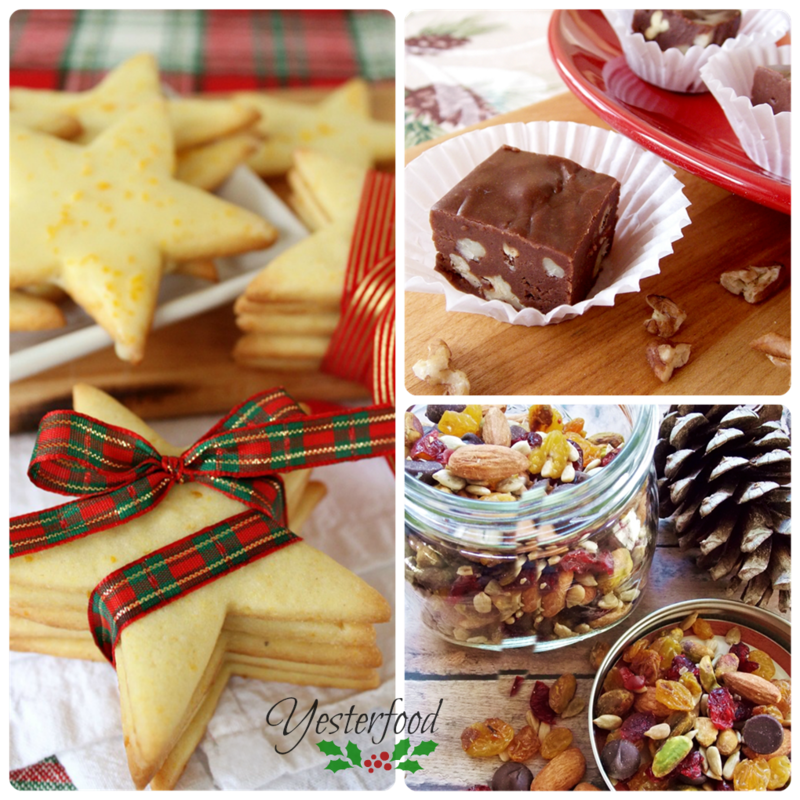 Come link up with Gooseberry Patch, and share all of your holiday goodies! To my non-blogger friends, I hope you find some fun, new ideas! Thank you for the reminder and hosting. Some great Christmas recipes to go through. I LOVE your Star Cookie. Thank you for sharing at Tuesday Trivia. Hi Joy. What a fun party, thanks so much for hosting! I'm with Wanda Ann, I love your Cornmeal Star Cookies and was honored to have them on my blog recently! Thanks for hosting.. I brought over my Homemade Hot Chocolate Ornaments... perfect for the holiday giving... Homemade hot chocolate that you can hang on your tree. So many yummy treats.... all in one place! Thanks for sharing this Joy! Thanks Joy, and enjoy the rest of the week. I hope you are enjoying the holidays. What a wonderful party. I love gifts from the Kitchen! It is almost lunch and I am craving sweets! Cynthia, you know what a sweet tooth I have, so this party was just right for me!! :) I'm so glad you joined in!